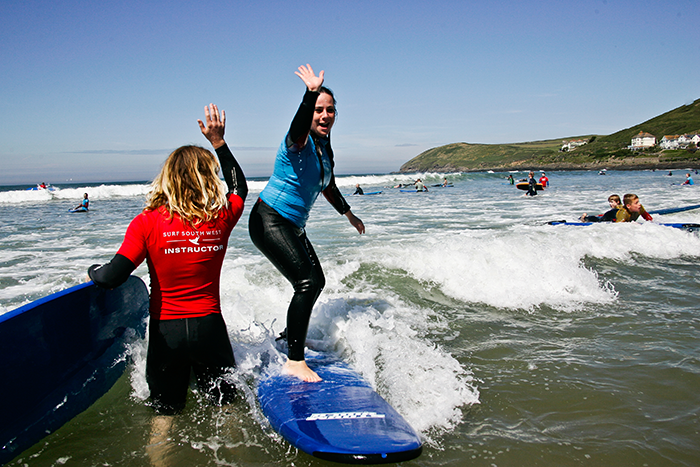 It sounds like the ideal job: being out on the beach, enjoying summer, getting a sun tan, meeting nice people… However, many surf school websites warn applicants that being a surfing instructor is not an easy working holiday.=! This temp job requires good surfing skills in the first place, a Level 1 Surfing Qualification (in the least), vetting and a Beach Lifeguard Qualification. The surf school could also require you to do some light admin duties (registering your students), and you should have good customer service skills (you are representing the surf school!) and be good with people. It is possible to get a job abroad in a country where the water is nice and warm, however, there are a few things that should not be overlooked when you are considering becoming an instructor overseas. In countries like Australia, surfing is a mainstream sport, so local people don’t go to commercial surf schools to learn how to surf. Rather, they become members of surf clubs at a very young age. What does that mean? Surf clubs over there are like football and cricket clubs over here. They’ll have permanent/volunteer coaches year in year out and they don’t need really need instructors from the UK or Ireland. So if you would like to go abroad, check the status of surfing in that particular country. In any case, the number of temp job vacancies in the UK is limited, the work is seasonal and competition is high. You’ll really need to be passionate about surfing and teaching(!) if you want to go for this job. Read our blog to find out #1 in the top 5 temp jobs series! Visit our jobs page to view current vacancies.